PRICE NEG AS I NEED TO MOVE THIS BEAUTIFUL BOY ON DUE TO PERSONAL CIRCUMSTANCES! Rare opportunity to purchase a stunning son of De Niro. 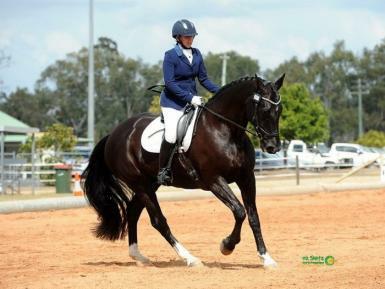 Remi Devils Advocate (aka Denzel) is a stunning black/brown 17.1hh, 16 years young gelding. Denzel is fit and in full work. 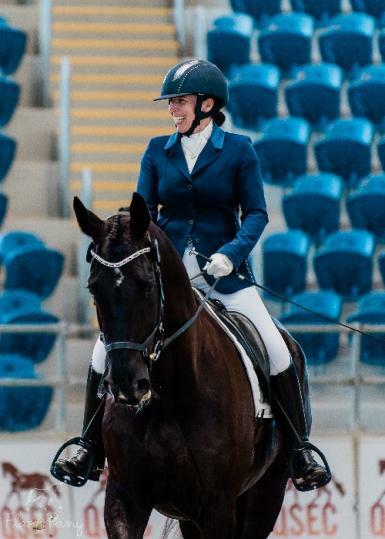 He is easy to do anything with and a delight to have around, both at home and out at competitions. Denzel spent his early years attending clinics and training days with his previous owner and has spent the last year with me attending numerous competitions at Novice/Elementary level. 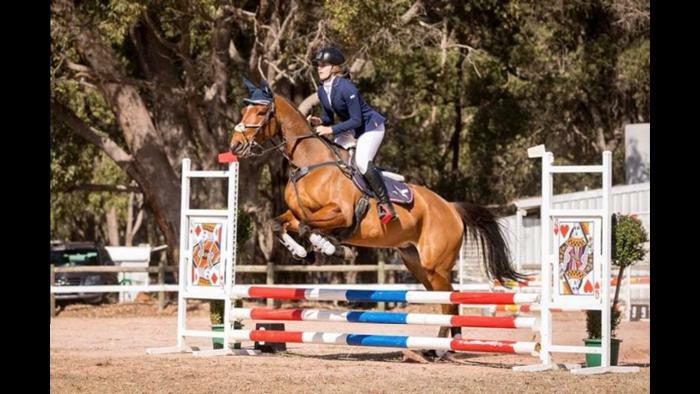 Denzel has proven to be a reliable and competitive horse, who is safe and fun to compete with. 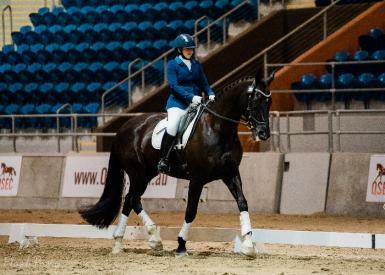 Some highlights of Denzel’s year have been scoring over 70% and first place in the Novice Challenge at the Brisbane CDI, over 71% in the novice FS at the AAOR Australian Dressage Championships, along with AAOR Australian Reserve Novice Tournament Winner. 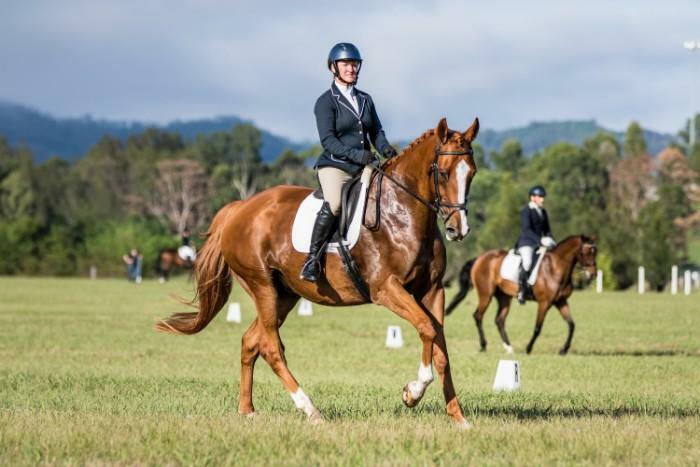 He scored 69% and placed at the Tamworth Dressage Championships in the Open Novice field, as well as placing in the elementary field, amongst professional combinations. He has consistently scored in the low to mid 60s in a handful of Elementary starts as well. 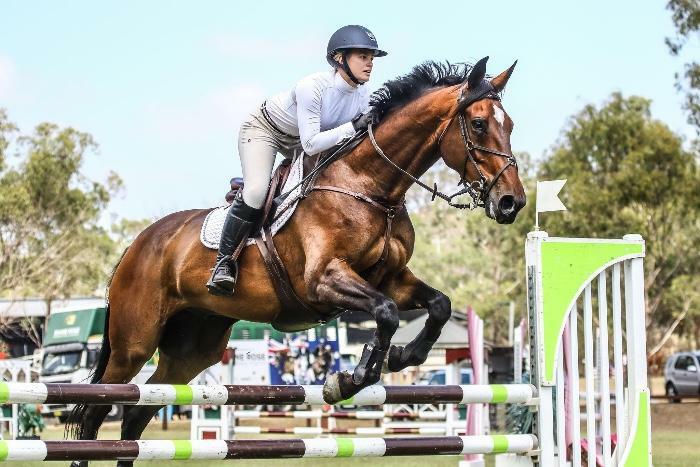 If not sold prior, Denzel will be competing elementary/medium in 2019, as his medium work is well established. 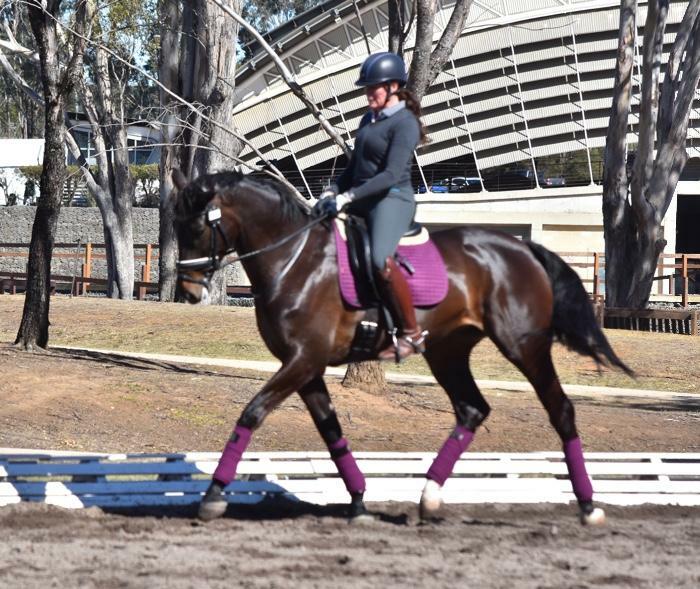 Denzel offers a superb opportunity for a rider to experience both AAOR or open competition, whilst getting to learn and experience the higher movements such as pirouettes, canter half passes, changes and piaffe, as his previous owner installed many of these buttons! 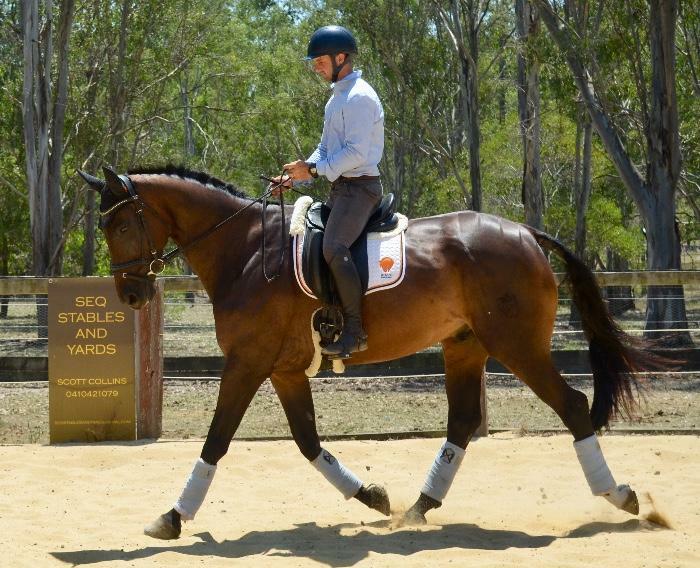 I have had great fun and learnt so much with these movements on him! 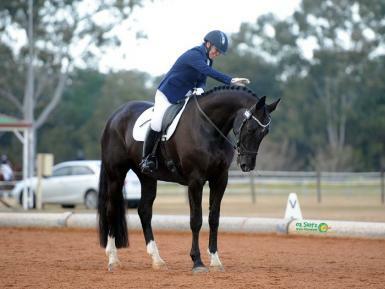 Alternatively, he may make a lovely walk/trot horse with his 10 walk and easy smooth trot for a para-equestrian rider. He would also suit as an interschool mount for dressage or taking a spin around the hacking ring with his stunning looks. 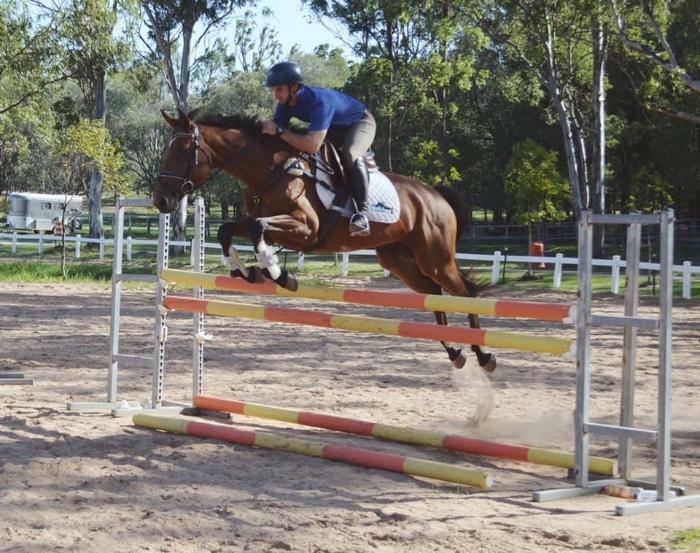 Note - he is not a jumper though so would not suit an interschool rider for jumping. Denzel has shown me the ropes and helped me get back out competing and really riding again, but it is time that someone else gets to experience the ropes with this lovely gentleman. 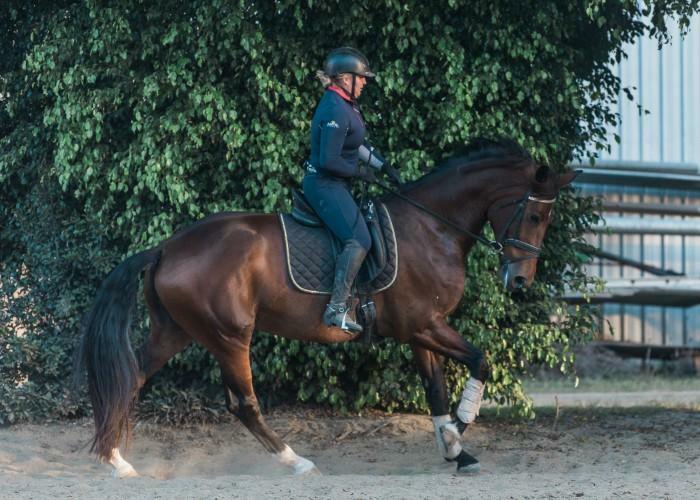 This is a sale due to personal circumstances (divorce) so only the best of homes will be considered, and, need enquire about the opportunity to experience and learn so much from this lovely horse.